Naveen Balani leads the IoT and Cognitive research for Accenture Labs. His interest is around edge computing and deep learning algorithms. Prior to his current role, he was the CTO and co-founder of a cognitive retail startup. He is a former IoT and Watson Lab Leader for IBM India Labs, where he was responsible for setting up the Watson Lab and getting the team ramped up on cognitive technologies. He developed the Watson Ecosystem Content evaluation system and enabled partners and customers on Watson technology. He holds 9 patents on various technology areas. 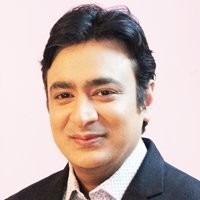 He is an active blogger at http://naveenbalani.com, an IBM Master Author, DZONE Most Valuable Blogger and writes for Intel and many other publications. He has written many books – Beginning Spring Framework, the first book on Apache CXF, multiple IBM Redbooks and is also the author and publisher for one of the top book on IoT – “Enterprise IoT”.